Agriculture Secretary Emmanuel Piñol has ordered the distribution of around P2 billion worth of equipment which were allegedly kept in various warehouses of the Department of Agriculture. “I issued a directive that all equipment kept in all DA compound all over the country must be released within a period of two months. I ordered to start the distribution today,” Piñol said. The agri chief issued the directive after reports confirmed that an estimated P2 billion worth of farm machineries and equipment were not distributed to farmer groups and local government units. 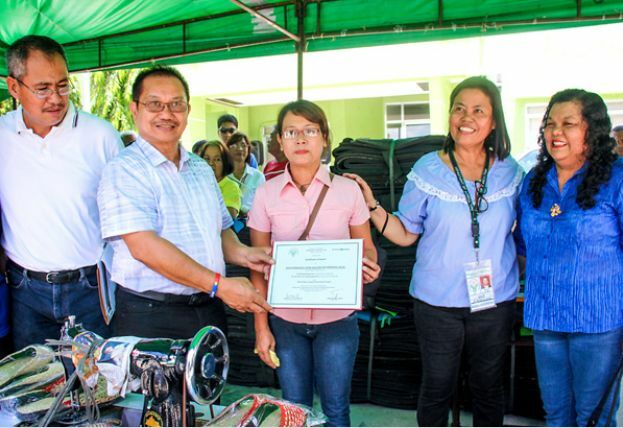 Piñol added the regional directors were at a loss on how to handle the distribution of equipment. The regional office failed to distribute the equipment because farmer groups were not able to provide a 15 percent cash equity. Farmer groups were supposed to shoulder 15 percent of the cost of the equipment under the guidelines issued by former DA Secretary Proceso Alcala. “I had to ask the opinion of two lawyers of the DA to determine whether the 15 percent equity to be paid by the beneficiaries directly to the equipment suppliers was legal,” he said. Pending the resolution of his legal question, Piñol decided that the equipment must be immediately released or the government would be put at a disadvantage. Farmer beneficiaries will just be asked to sign a deed of undertaking which says that if the 15 percent equity is legal, it will be paid by installment over a period of four years. “I issued a stern warning to the regional directors that I will not allow the procurement of any other equipment without sufficient validation on the capacity of the beneficiaries to handle it and exhaustive social preparation,” he said. Just earlier this week, Piñol ordered an investigation of officials of DA-South Cotabato for failing to distribute around P100 million worth of equipment to farmer groups.